fitness is not for the faint of heart. What a whirlwind weekend. My alma mater was having a huge alumni event, so Friday afternoon, I jet set off to lovely Houston, TX to meet up with some of my college friends. I knew that jet setting halfway across the country would put a little bit of a damper on my workouts, but I packed my jump rope anyway and set off. 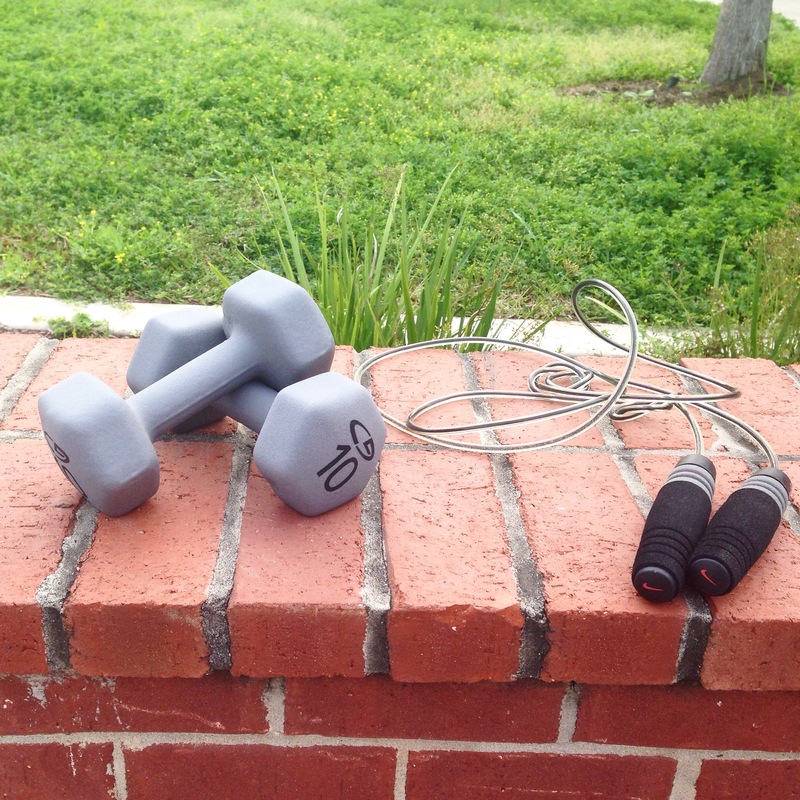 I always like to challenge myself to try and get a workout in where ever I go. I actually had a conversation with my mom about this once when I was headed off to a conference. I was more excited about checking out the new gym than I was about the conference itself. I like to try running and working out in new spaces because it adds a little bit of spice to whatever you are doing. Some of my best runs have been in the oddest places; a cruise ship pulling in to a port as the treadmill I was on was facing the open sea, Central Park in the middle of a rain storm when I ran the wrong way and ended up running 5 miles to get home in a tsunami, etc. There’s something just cool about trying to find a way to fit it in and make it work no matter what. I have a personal philosophy that I will never go more than two days without working out. Even if my workout is just a long walk around somewhere, that will suffice, but I just don’t feel like myself if I haven’t sweat in two days. So, when I was planning this trip, I got one of my friends to promise to workout with me on Sunday morning since we didn’t have brunch plans until 12:30 and had the morning all too ourselves. We had a pretty exhausting Saturday full of running and round and over indulging in both food and drink, so come Sunday morning I realized I no longer had a workout buddy and I was on my own. I unpacked my trusty jump rope and borrowed a couple of her weights and head out to a park a block away from her house and got down to BBG Week 7 Legs and Cardio. I’m not going to lie to you, I did not want to do this workout and I probably looked like a darn fool in the middle of the park jumping around, but I ended up loving every minute of it. The weather was so beautiful and it was just nice to be out in the green. Although, pro tip: don’t do Burpees on cement. your hands will not be very happy with you. After my last timer went off for my final circuit, I was jazzed. I just didn’t want to stop which is the greatest feeling in the world. I gathered up my assorted accessories and headed back to my friends to drop them off before taking the most enjoyable, leisurely run I think I’ve had in awhile. I didn’t track it. Didn’t go for speed. Just went. I just ran. And I ran and I ran. Luckily, I was pretty familiar with the area since I had just lived there not even a year ago, so I had the freedom to go exploring. I found a community garden that they had just started building, a cute little dive restaurant with brunch goers, and a dog park full of playful pups. I would definitely tack this on to the list of just great workouts. 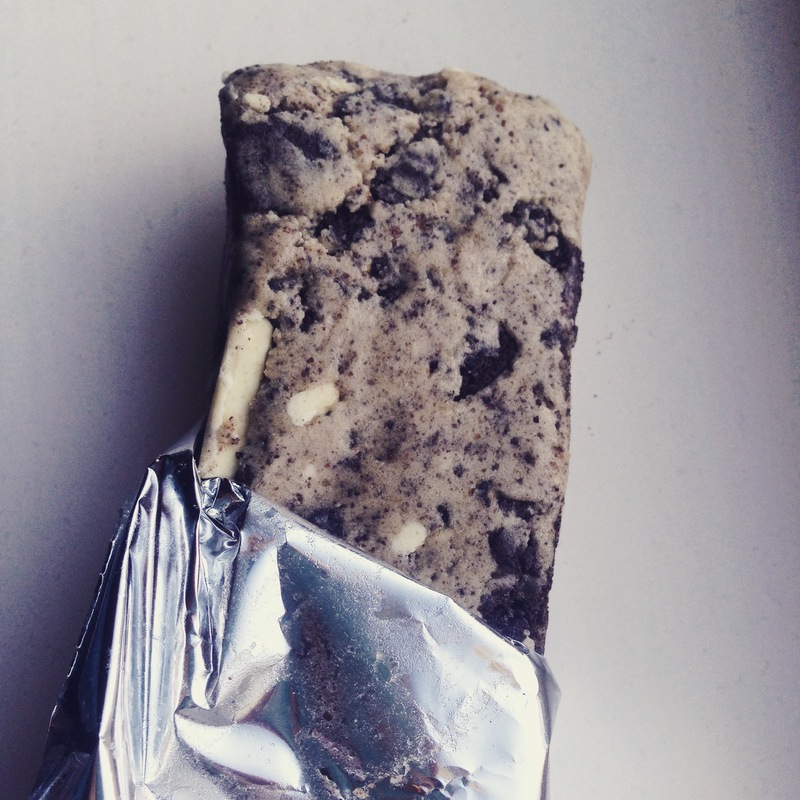 I knew I needed to refuel following my workout, so I chowed down on a Cookies and Cream Quest Bar. These little protein bombs are all over the fitness world right now. I see them constantly on blogs and instagram accounts. They offer 21 grams of protein, 1 gram of sugar and 68% of your daily dietary fiber all for 180 calories. Oh, and they’re delicious. This flavor, the smores and the chocolate chip cookie dough are my favorite. They’re a little expensive and they don’t sell them at the grocery store that I frequent in New Jersey, so when I saw them in Houston I picked up a couple to treat myself. It is extremely nice to be back home though. I can’t wait to get back in to my regular groove and start hitting the BBG and my runs hard this week to keep with it. But for now, here’s a little picture of my crazy friends and I from this weekend. So happy this week is wrapping up because that means I get to go to Houston! It’s my alma maters big alumni celebration, so I get to see everyone I went to school with and hangout for a jam packed weekend. But first, I’m going to recap the past couple of days workout wise. Wednesday I experienced my usual lethargy and general not wanting to workout-ness. I was really struggling to motivate myself since this week had been particularly difficult with the BBG and I was soreeeee. I was stumbling through instagram and one of the girls I follow had a post that read “having to vs. getting to” and highlighting her lack of motivation to go on a run that day until she remembered that she even had that option. This fueled me. I think we all take for granted what our bodies can do. I am lucky enough to have two functioning legs, a good heart, and the ability to run a couple of miles every now and then. I would say that having this luxury is something that a small minority of the world’s population can afford themselves. Because of this, I think those that have the ability to better their physical fitness should take full advantage and remember that they are so lucky to even have the option of bettering themselves this way. Another quote I came across this week was the one below. I remember exactly when I started. When I was about 14 or 15, my mom decided to take a hiatus from work and focus on my brother and I and helping ease our transition in to high school. To use her time in a positive way and better herself, she threw herself in to fitness and I was so inspired. I would ask her all the time if I could come with her on the weekend to join her workouts and she always happily obliged. I was horrible at it and didn’t know what I was doing at all. And to top it all off, I never wanted to get sweaty, so clearly things were going well. I tagged along to her workouts, but never really started doing anything seriously. The summer after my junior year of high school, I went to summer camp at a local college nearby to focus on my voice and see if this was something I wanted to further pursue. While I gained a lot of knowledge in the music arena, I also gained a lot of weight from the unlimited buffet style meals we had. When I say a lot, I don’t necessarily mean more than 10 or 15 pounds, but it was a noticeable difference to me and at the end of the summer, I just didn’t feel like myself. I figured when I got back to my normal routine, everything would straighten itself out. But it didn’t. My senior year began just a few weeks after I got back and I was quickly inundated with stress from all different angles; college essays, speech team, drama, life etc. I was looking forward to the one sweet relief that was going to occur in the first semester of my senior year. The homecoming dance. I had picked out a dress for the event last spring. It had been on sale and was this silver dress with a really interesting pattern and it just spoke to me. I was so excited to wear it with all of my friends and couldn’t wait to get compliments since it was so unique and it had looked so good. The week before the dance, I tried the dress on just to see what kind of shoes I should wear with it, but, to my dismay, it didn’t fit anymore. I burst in to tears. I had no back up plan and the dance was a couple days a way and I just couldn’t help thinking that it was my fault that I couldn’t fit in to this dress and honestly I was just a mess. My parents were amazingly supportive through this. My mom assured me I would be wearing that dress again in no time and vowed to help me actually start working out and my father ran me to the store to buy a new dress. I promised myself that I would take my fitness more seriously and fit in to that silver dress by the end of the year. And I did. College came that next year and, while I worked out at least 4 days a week, I still managed to put on some weight and lose some muscle. When I got home the summer after my freshmen year, I felt that same uncomfortableness I had felt after my time at camp. I wasn’t myself. I reevaluated and hit the gym hard that summer until I started feeling more comfortable with myself and actually proud of the things I was doing and choices I was making. It’s been a long journey thus far and it’s still changing everyday, but I will never forget those times when I have felt off. 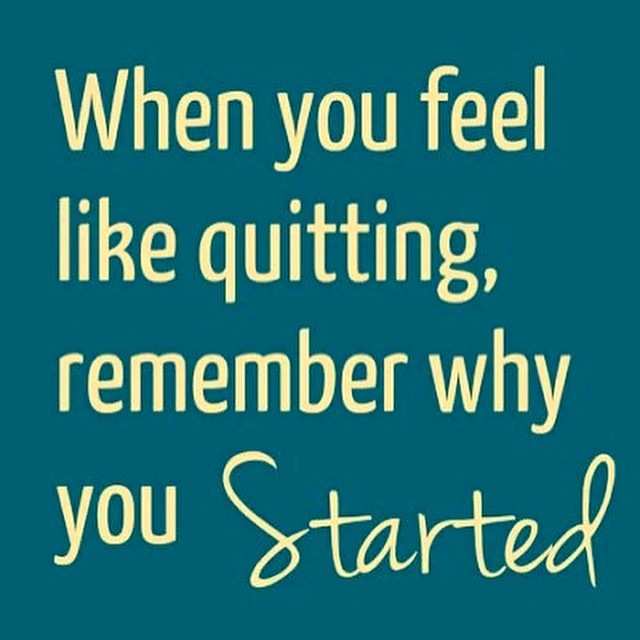 It’s that feeling that sticks with me every time I go to the gym and I remember why I do what I do.